After a strong 2013 racing campaign, both Kelly Magelky and Tammy Sadle have proven they are indeed champions. This year they took it a step further by sealing the Winter Park Series Overall. 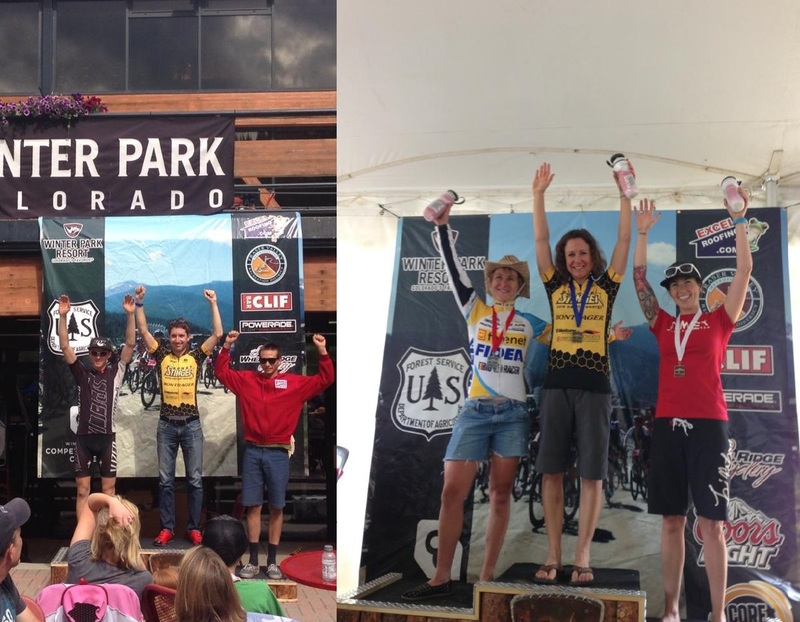 Both have been on a tear in the later part of the season with great results, and what better way to put the cherry atop the season than to have two Honey Stinger/Bontrager riders on the top step of the podium! Big congrats to both Kelly Magelky and Tammy Sadle! This entry was posted in Hive News, Team Honey Stinger/Bontrager. Bookmark the permalink.